The Junior League of Tampa is committed to helping break the cycle of poverty for our most disadvantaged children and families. 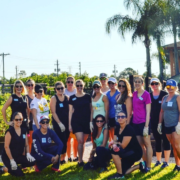 The Junior League of Tampa partners with community agencies that reflect our mission, values and issue areas through child welfare and education. Learn more about an amazing organization that promotes voluntarism, develops the potential of women, and improves the community. We commit 100% net proceeds from our fundraising efforts to our community projects and our volunteer training and leadership programs. Join us April 27th for the Tampa Bay International Dragon Boat Festival at Cotanchobee Fort Brooke Park in Downtown Tampa. The Junior League of Tampa is excited to partner with Pan Am Dragon Boat Association for the Tampa Bay International Dragon Boat Festival. Join us as Garrison Channel comes alive with dragon boat racing and fun for the entire family. Join us as we recognize the 2019 Luminary Honorees and celebrate their lasting impact on Tampa Bay. Be part of the Tampa Bay International Dragon Boat Festival. 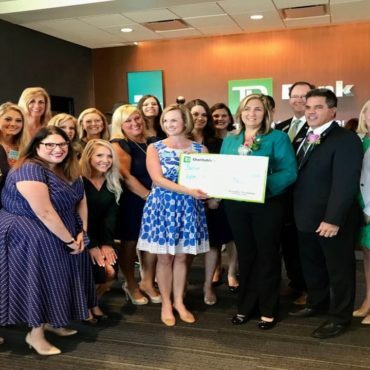 As The Junior League of Tampa’s newest signature fundraiser, the Tampa Bay International Dragon Boat Festival aims to drive community awareness, engagement and involvement, and to promote health and wellness across the Bay. Whether you are interested in racing as a team, being part of the Vendor Village, or volunteering at the event, there is something for everyone at the festival. As the League’s newest project, the Diaper Bank exists to combat diaper need in Hillsborough County. Food 4 Kids fights food insecurity by providing bags of weekend food to children in need. 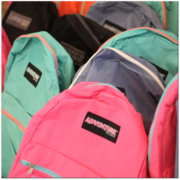 A Love Bundle is a backpack of essential clothing and toiletries for children entering foster care without any personal belongings. Volunteers at Large offers volunteers when grants are not needed. We are accepting applications now for Spring 2019 and Fall 2019. Volunteer support is open to nonprofit agencies operating in Hillsborough and Pasco Counties. The Junior League of Tampa and WEDU is proud to announce the 2019 Luminaries Rosemary Armstrong, Joseph Capitano, Sr., and Dr. Judy Genshaft. They have influenced countless individuals and created a lasting impact in Tampa Bay.